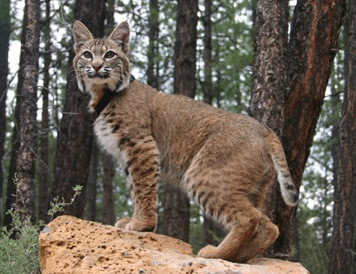 Outside Palm Desert, a young bobcat dies mysteriously at a nature preserve. 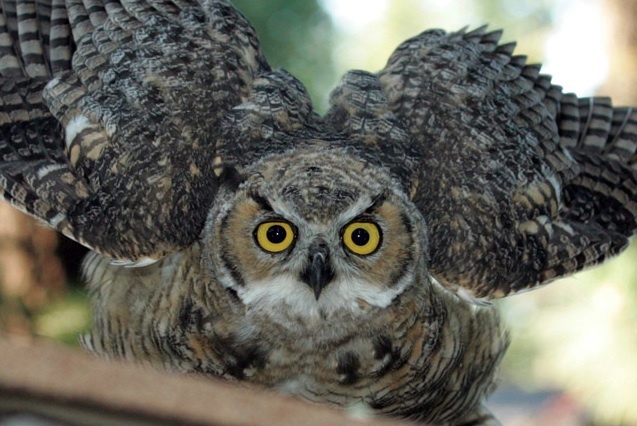 South of Nevada City, a farmer finds an owl dead near his decoy shed. 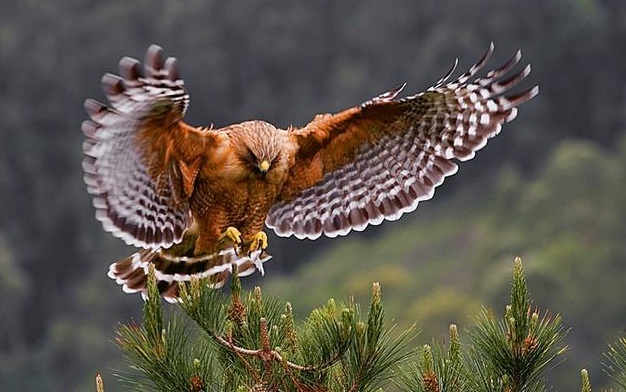 In San Rafael, a red-shouldered hawk bleeds heavily from its mouth and nose before succumbing at an animal care center. Each of those incidents shares a link to a widely used toxin that is turning up at dangerous levels in wildlife across California: rat poison. Over the years, rat poison has spared state residents untold filth and disease. But a new generation of highly toxic, long-lasting poisons is killing not only rats, mice and ground squirrels, but whatever feeds on them, too. As a result, toxins are rippling outward from warehouses to woodlands, from golf courses and housing complexes to marshes and nature sanctuaries. In California, the victims include bobcats, barn owls, red-tailed hawks, coyotes, kit foxes, kestrels and scores of other predators and scavengers. "Rodenticides are the new DDT," said Maggie Sergio, director of advocacy at WildCare, a Bay Area wildlife rehabilitation center that has responded to dozens of poisoning cases. "It is an emergency, an environmental disaster. We are killing nature's own rodent control." But many feel the move does not go far enough, since the poisons can be purchased from other sources. "We've been collecting data forever," said Stella McMillin, an environmental scientist with the pesticide investigations unit of the California Department of Fish and Game. "They took 10 years after we knew it was a problem. It was absolutely too long." Research by McMillin and others shows that exposure to rat poison is widespread, especially in and near urban areas where pests, people and poison mix. Around Bakersfield, 79 percent of endangered San Joaquin kit foxes tested have turned up positive for rodenticide. Near Los Angeles, 90 percent of bobcats sampled had rat poison in their blood. "Basically, when we look for it, we find it," McMillin said. The same is true all over. Seventy percent of owls sampled in western Canada had rat poison in their livers. 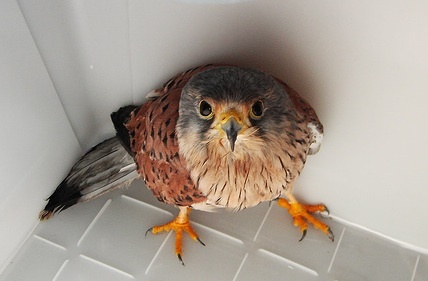 In New York, half of 265 birds of prey tested were positive for poison. In Great Britain, one of every two barn owls tested was contaminated. 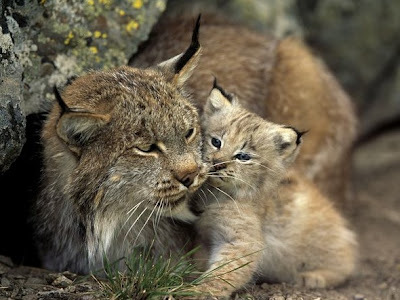 "The truth is, it's not just across the state but across the country and across the world," said Seth Riley, a wildlife ecologist with the National Park Service whose research has linked exposure to rat poison to a rare, often fatal form of mange in bobcats in Southern California. The poison is turning up in wilder parts of California, too, alarming scientists. One such place is the central and southern Sierra Nevada, including Yosemite National Park, where it has been discovered in the livers of a rare weasel-like carnivore, the Pacific fisher. "They are obviously getting this poison from somewhere," said Reg Barrett, professor of wildlife management at the University of California, Berkeley. "But we don't know where. 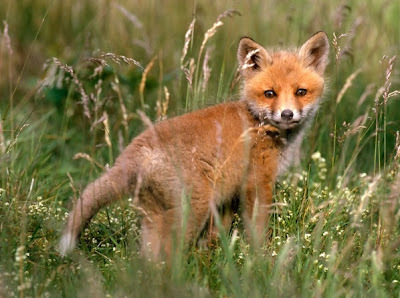 "Even if it doesn't kill animals outright, it could predispose them to predation, accidents and all kinds of things," Barrett said. "If you're running around half-gassed from poison like this, you're probably not functioning 100 percent." Scientists worry that exposure might impair reproduction in some species – as it did with DDT – or trigger other kinds of harm. But such research is costly and often takes years to yield results. "There is basically no budget to do any of this," said Barrett. "It's obviously a big enough problem that somebody has got to come up with the money." All pesticides are potentially dangerous, of course, but rat poison is especially so because rats that eat it take days to sicken and die, making them ideal targets for predators. "They become basically little poison pills," said Robert Hosea, an environmental scientist with the Fish and Game Department. And once they die, their remains are toxic until they decompose. "Whatever eats them, gets it," Hosea said. There is nothing subtle about the poison. It kills with gruesome brush strokes, robbing animals of their ability to clot blood, causing massive internal hemorrhaging. "What it does is turn your guts into soup.It's nasty stuff," said Barrett. At a recent meeting, McMillin flashed a necropsy photo of a blood-soaked coyote across a screen. "It's hard to miss," she said. "You open it up and you have no doubt in your mind what happened." Two tongue-twisting toxins turn up most often in wildlife: brodifacoum and bromadio-lone. On store shelves, they go by such names as D-Con, Havoc, Talon, Tomcat Ultra and Just One Bite. Companies make the compounds super-lethal because many rats and mice have grown resistant to older poisons, such as warfarin. The new products are so toxic their use is forbidden in farm fields and restricted in and around homes, warehouses and other confined locations. 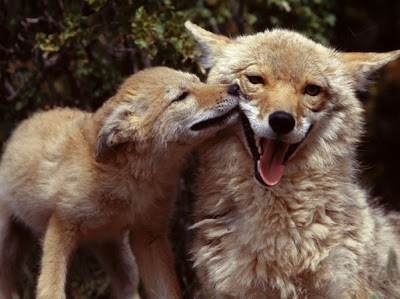 But these safeguards haven't prevented them from turning up in exceedingly wild locations, including the Sierra National Forest and Yosemite National Park, where 19 of 21 fishers sampled showed traces of rat poison - and one died from it. "When I first heard about this, I thought it was a mistake," said McMillin. 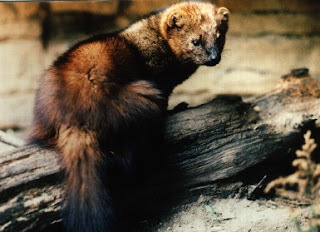 "Fishers live in old-growth forests. Where in the world are they getting exposed to anti-coagulants?" The prevailing theory is it's because of marijuana farms in remote areas," she added. "In marijuana farms that are busted, there are a lot of pesticides. And obviously they are not being careful to use them legally." Poison, of course, is not the only solution. "The biggest thing you can do to control rats and mice is, a) eliminate harborage, and b) eliminate their food supply," said Hosea. "If there is nothing for them to eat and nowhere for them to hide, they are going to be a lot more scarce." But poison is convenient – and that's what Craig Ferrari chose when rats moved into his decoy shed outside Nevada City. Not long afterward, though, he found a dead great horned owl nearby. "I thought to myself, I sure hope it didn't get poisoned by one of the rats," said Ferrari, a Christmas tree farmer and waterfowl enthusiast. "I'm trying to get rid of a rat, not go through the food chain." Earlier this month, a University of California, Davis, lab tested the owl and found that it did indeed have rat poison in its liver – but not the kind Ferrari was using. McMillin, who necropsied the bird, said it likely died of starvation, not poison. But could the rat poison have weakened it and impaired its ability to hunt? "We just don't know," she said. Outside Palm Desert, rat poison is believed to have contributed to the death of a young bobcat at the University of California Boyd Deep Canyon Desert Research Center last year. The facility's director, Allan Muth, awoke on June 28 to a startling sight outside his kitchen window: a half-grown bobcat kitten, lying on its side, breathing heavily near a water tray with an adult nearby. "It was rather poignant," Muth said. "The adult would go over and occasionally paw the juvenile as if to get it to get up and move, and it wouldn't. "Finally, the adult turned and walked away." By early afternoon, the young bobcat was dead. Suspicious, Muth placed it in a freezer and later sent it to UC Davis. Last week, it was examined byAndy Engilis Jr., curator of the school's Museum of Wildlife and Fish Biology. "When we do a necropsy, generally the organs are intact and there is little blood," he said. "When I opened this animal up, it was engorged with blood. The only time I've seen that is with rodents exposed to anti-coagulant (poison). It was compelling." To Engilis, the kitten's discovery near water was also significant. "Normally, when animals are subjected to anti-coagulant poisoning, they get real thirsty. They drink and drink and drink." Cats kill all sorts of vermin. 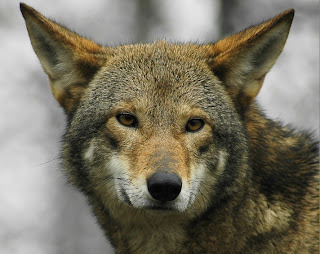 But are sometimes prey for wolves, coyotes, eagles, alligators and other predators. Poison makes money for monsanto and other chemical companies. Seems like a no brainer. It IS a no brainer. Use nature, don't kill nature. It's probably too late for that advice. Any thoughts as to the role of methane or other emissions are welcome because I’d really like to understand – and halt -the demise of trees…oh wait. There’s nothing wrong with them. They are just fine – I have an overactive imagination. Never mind! Yeah, I don't look at Real Climate either, Gail. If your post makes it out of moderation, it will quickly be dismissed and ridiculed. The majority of the posters there are poised to be contrary, or are merely regurgitators of the recently accepted consensus, which doesn't include Ozone. Many of them are scientific only in the sense that they have memorized the official political dogma of their orthodoxy and behave according to those strict limits. They are not creative in any sense of the imagination. Da Vinci and Galileo would scoff at them as petty poseurs if they were alive today. I noticed that they have a couple of posters that are considered "deniers." These token "deniers" never have their posts moderated and their "denial" is of the crudest form. I believe this is purposeful, and I believe that the token "deniers" are imposters in order to make the crowd there look good in comparison. Note that I'm not defending either position with that observation, but I do know how the game is played and the debate is framed, especially on well established blogs that have a great deal of clout and high visibility. Such tactics are disgustingly deceitful and undermine any credibility and honest inquiry. I ran across an interesting report. I'm still reading it, but thought I would share. As always, I remain concerned that those with the real power, the Plutocratic Oligarchy, do not necessarily have the interests of The Masses at heart. Who gets to decide who lives and dies? Who gets to decide who gets sacrificed? Who gets to decide who suffers, and who doesn't? For some crazy reason, I don't believe the decision process will be Democratic in any way. Haha, Morroco Bama, you called it. RC snipped it. Just ridiculous! I should remember to never go there. As to your last comment, of COURSE those with the real power don't have the interests of the masses at heart! That is becoming more clear by the day. Fukushima and the Gulf are prime examples. Did you follow the link in comments on DOTE to Monbiot's column? He shreds Ridley the Rational Optimist as a transparent lapdog to his audience - the wealthy, Ayn Rand ideologues. Of course, Monbiot's criticism of Ridley is perfectly accurate, but methinks George is a pot calling a kettle black, especially after he has revealed his stance on Nuclear. Who's pocket is George in? Somebody's, that for certain, especially after this article and his deceitful chastisement of Helen Caldicott. "... no one has yet received a lethal dose of radiation." I'm glad you mentioned Leuren Moret. I consider her a classic disinformationist/misinformationist. Whether or not she does so purposefully, I am not sure, but either way the effect is the same. Much of what she says is true, but then she mixes in unsubstantiated material like HAARP and Chemtrails controlling the weather, as though it was a verified fact that has been rigorously tested, right alongside other facts that have been verified and rigorously tested. Also, she blames every illness on the planet on radiation, including high cholesterol. There is no doubt that radiation plays a part, and not an insubstantial one, in illness, but there was much illness before radiation, so radiation can't be solely to blame. All of it only serves serves to delegitimate serious and concerned inquiry and to misdirect those who want and need to know down rabbit holes from which they may never return. The people, the "Little People" of Fukushima, did not want that facility in their prefect, and they strongly activated against it, but to no avail. It was constructed anyway without taking into account any of the protesters protestations. Those protestations foresaw this, as well, and they were ignored by the Establishment. See starting at 1:37 in this video. Pesticides are effecting all of us, in humans pesticides contribute to so many health problems including autoimmune disorders. I have made it a goal to stop using all chemicals, to live live with only the basics, there are other alternatives to poison...a great blog, love the pictures...and I am so sad to see any living thing die by poisoning.